This little happy Yellow Retro Camper printable cupcake and treat box kit comes with TWO removable cupcake trays - one for standard cupcakes and one for mini cupcakes. Can also be used as a cookie, candy, gift box, party centerpiece, favor box, paper toy, or just as fun decoration for your home! My kits are easy to assemble and come with full written instructions. I have created a how-to video with assembly tips. 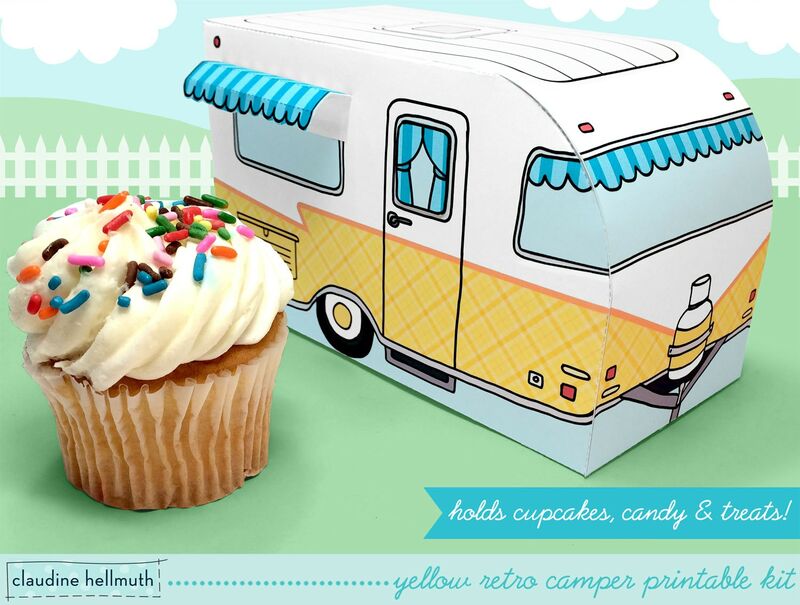 ★ 6 page high resolution PDF file with templates to create your Yellow Retro Camper and cupcake trays - make as many as you like for your own personal (non business) use! This is great! Using them for my Dads Birthday! Pleased with product / very unique / fair price / and wonderful customer service .Thank you .